I just thought I’d highlight a new project I’m involved with. Open Source Antibiotics (https://github.com/opensourceantibiotics) is intended to be a platform for a collaborative effort towards antibiotic discovery. 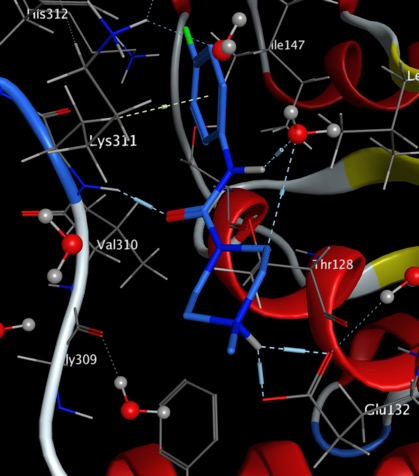 Mur Ligase (https://github.com/opensourceantibiotics/murligase) and the background to these exciting targets can be found on the wiki page. This also provides details of the first two fragment screens. What we want now is for people to join in and suggest the next round of fragments that should be screened. Ideally these should be commercially available but if people want to design, make and submit their own fragments we would be happy to screen them. 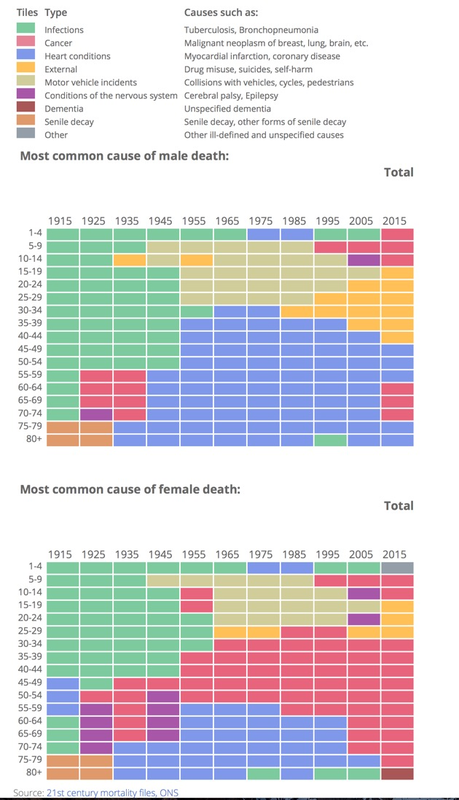 The UK Office of National Statistics has produced a fascinating interactive plot of the causes of death in the UK over the last 100 years. I've captured a screenshot of the plots but I'd urge to go and have a look at the interactive plot on the website http://visual.ons.gov.uk/causes-of-death-over-100-years/. What is very apparent is the impact the introduction of antibiotics had in the late 1940's, and the introduction of mass vaccinations, deaths due to infections have been virtually eliminated. In men heart disease remains the major killer whilst in women it is breast cancer. Sadly among the young it looks like mental health issues are a major concern. The World Health Organisation has published a list of the top 12 bacteria for which antibiotics are urgently needed in an effort to focus research. The list highlights in particular the threat of gram-negative bacteria that are resistant to multiple antibiotics. These bacteria have built-in abilities to find new ways to resist treatment and can pass along genetic material that allows other bacteria to become drug-resistant as well. The Community for Open Antibiotic Drug Discovery (CO-ADD) screen compounds for antimicrobial activity for academic research groups for free. The screening includes the top 5 pathogens listed in the WHO priority list, as well as the fungi C. neoformans and C. albicans. Details on how to send compounds are here. All they require is 1mg (or 50uL at 10 mg/mL) of pure compound which will be used for primary screening, hit confirmation, and if active will be used for a broader antimicrobial screening, cytotoxicity and a check for its purity.